What is it about: Collegiate Cyber Defense teams provide institutions with computer security programs in a controlled, competitive environment to assess their students’ competency in protecting corporate network infrastructures and business information systems. Find more information about our local team (pictured below) here. Where will money be used: To purchase various firewalls, which will prepare students not only for competitions, but for the professional workforce as well. According to a review of recent industry reports in Network World magazine, the demand for cybersecurity professionals has grown 3.5 times faster than the demand for other IT jobs over the past five years. Enrollment in the NKU College of Informatics has doubled in the past eight years to more than 2,200 students, in part reflecting the demand for professionals in fields like these. This demand and the importance of NKU's Cyber Defense Team and Programs was recently featured on Cincinnati's WCPO. 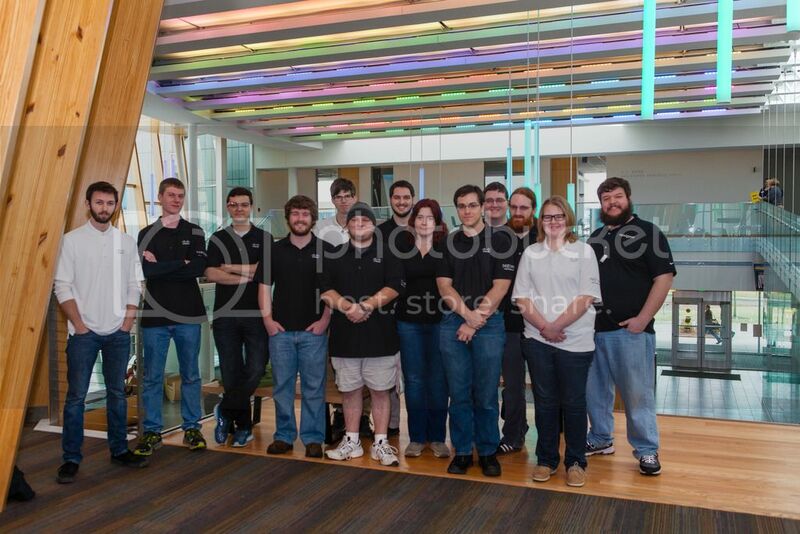 Who benefits: Computer security is one of the research strengths of NKU’s Computer Science Department. NKU is the only college in the area with the designation as a National Center of Academic Excellence in Information Assurance Education, sponsored by National Security Agency and the Department of Homeland Security. The explosion of national and international student competitions in the field of cybersecurity reflects the intense need in government and business to develop talent in this area. A gift of $10.00 will provide 1 student with the necessary manuals needed for state and regional competitions. A gift of $25.00 will provide 3 students with the necessary manuals for state and regional competitions. A gift of $50.00 will pay for a student for a on campus qualifying competition.